"Do you cry over a country once known to be the greatest of them all? Do you spend your time whining about things you may have done? Are you chasing something and really do not know what it is? Are you living in a looping phase of frustration and resentment? Do you pray for some dignity, some appreciation? This is your wake up call. You have to realize, it’s all about you! It’s you who thinks… it’s you who prays… it’s you who feels, dreams… chooses to triumph over your daily battles. This is your chance to face your own demons, believe in role models, save everyone from their sins against themselves. It’s about articulating hope, carving the words of the future on your heart. So, break free from the imprisonment of life, hold your breath for a brand new day. Do something! Take a moment to live, love, and enjoy. Do what it takes to set your spirit free. Work on your relationships, help yourself become better. Say No to the things you hate. Be your own super hero. Conquer the fears that feed on your soul. Make use of the selfishness and shift it to self-worth. Lift yourself up, let your insecurities go. I wrote this note couple of months ago .. Didn't know I would live to witness such a victorious day .. I had a Reverie of a day when good beats evil, when honesty rules the world, when dignity is revived, and justice is the only language we speak! I've never been this proud .. I've never felt this alive .. I've never felt this fresh breeze ..
Another day has truly come .. Another chance from our Almighty ALLAH to build and live once again .. I finally can be myself, have a voice, and choose what's best .. I finally have the confidence to lead my life without fear .. I finally can wake up each morning without any burdens of any kind ..
We have clicked our "Restart" button; not only hoping for the best, but acting upon what we definitely believe in .. 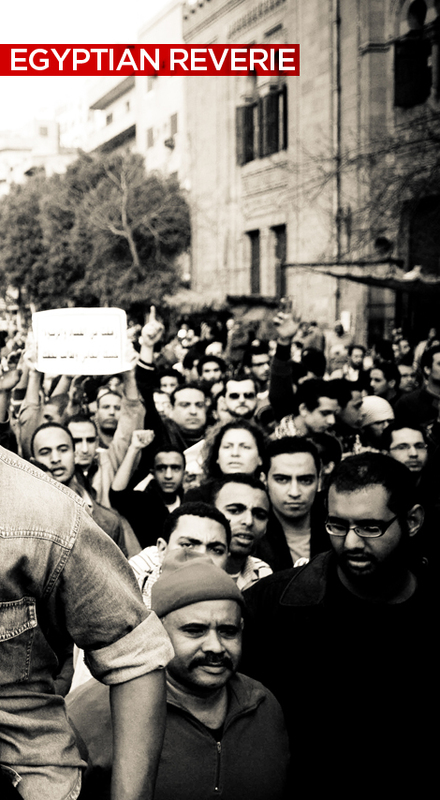 I feel proud to have witnessed the peaceful revolution that occurred in Egypt. So much of the world is in oppression, denied the ability to share their voice, ideas, and hopes with their family, friends, and other countrypeople. And if they dare do, they live in fear of capture, torture, and death. I wish you and all the Egyptian people the best in securing your democratic future. And thanks to you for sharing your feelings on this global but ultimately intimate event. Sheila, Thank you sooooo much for your sincere wishes. I feel eternally grateful for your words, and I definitely agree with your intro. Best wishes for you as well.